Whether or not you think it’s a big deal, it kind of is. Halas versus Lombardi. For 180 minutes this weekend, typical genteel Midwestern politeness will be suspended and (gasp!) unpleasantries may be exchanged as the Bears host the Packers for the NFC championship. The last time these two storied rivals tussled for the big one? One week after Pearl Harbor on a frosty day back in ’41. Chicago won and though they are 3.5pt underdogs heading into Sunday, they’ll find a way to extend that tradition an additional 70 years. 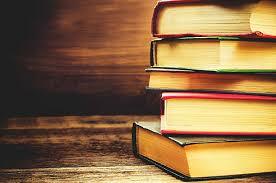 Be sure to stop in to the downtown reference desk during the game and feed Bill scores. 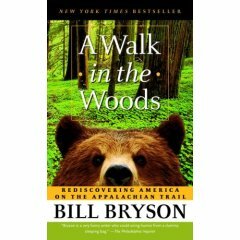 The Appalacian Trail (AT), a continuous hiking trail spanning the eastern United States from Georgia to Maine, has been the source of many adventures and stories but by far the funniest (and arguably the best) is A Walk in the Woods by Bill Bryson. Bryson, middle-aged and overweight, decides to reconnect with nature and America by hiking the often arduous AT. He recruits long-time friend Stephen Katz who is even less athletic than Bryson (he packs for the hike by filling his backpack with candy bars – and nothing else) and sets off optimistically. What ensues is both laugh-out-loud funny and thoughtful, beautiful and provocative. Although the pair end up hiking only parts of the trail (the beginning and the end plus several day hikes in the central section), their experience is no less authentic than those of a thru-hiker. Along the way Bryson (one of our best writers) fills you in on the history and lore of the trial, the varied accounts of the towns scattered along its length, the unique and beautiful landscape and wildlife of the areas crossed (although the chapter on bears is likely to keep you awake at night whether you’re in a tent or at home), insights into human nature and the value of keeping your friends – even those that drive you nuts. But most of all, you’ll laugh. A lot.